The energy budgets of the ocean play a crucial role in the analysis of climate change. Potential temperature is traditionally used as a conservative quantity to express variations associated with “heat” in oceanography, such as the heat content and heat transport. However, potential temperature is usually not conserved during turbulent mixing, so the use of conservative temperature is more accurate. Based on climatological simulations under the modern and Last Glacial Maximum (LGM; ~21 ka; ka=thousand years ago), as well as a transient climate simulation of the past 22 000 years, we quantify the errors induced by the neglect of the non-conservation of potential temperature in paleo-climate research for the first time. The temperature error reaches 0.9°C near the coasts affected by river discharges but is much smaller in the open oceans, typically 0.03°C above the main thermocline and less than 0.01°C elsewhere. The error of the ocean heat content (OHC) is roughly 3×1022 J and is relatively steady over the past 22 000 years. However, the OHC increases to six times the original value during the last glacial termination from 20 ka to 7 ka. As a result, the relative OHC error decreases from 1.2% in the LGM climate to 0.14% in the modern climate. 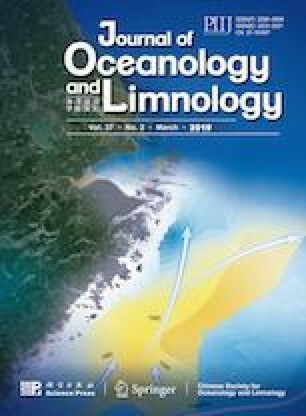 The error of the ocean meridional heat transport (OMHT) is generally smaller than 0.005 PW (1 PW=1015 W), with very small temporal variations (typically 0.000 4 PW), and induces a relative OMHT error of typically 0.3% over the past 22 000 years. Therefore, the neglect of the non-conservation of potential temperature induces a relative error of generally less than 1% in the analyses of basin-scale climate variations. We thank the National Center for Atmospheric Research (NCAR), the Earth System Grid Federation (ESGF) and University of Wisconsin-Madison for sharing the data with the public. We thank YANG Haijun, LI Qing and WANG Kun from Beijing University for assistance in the calculations of heat transport. All the calculations involving potential enthalpy and conservative temperature are calculated using Gibbs-SeaWater (GSW) Oceanographic Toolbox Version 3.05.5 in Matlab, and we thank Trevor J. McDougall and Paul M. Barker for their efforts. We also thank two anonymous reviewers, GUO Yongqing, ZHANG Cong and DUAN Juan for their efforts to improve the quality of the article. We thank Richard Foreman, PhD, from Liwen Bianji, Edanz Editing China (www.liwenbianji.cn/ac), for editing the English text of a draft of this manuscript.